Leica made no surprises whatsoever when revealed to the world (a couple of days ago) the new D-Lux 7, which is a nicer looking version of the Panasonic LX100 II. The new model is a compact model that comes with a beautiful frame, even if it does remind a lot of the Panasonic Lumix DC-LX100 II. The versatile camera is the choice for everyday shooting, ensuring maximum photographic freedom so that you may capture the special moments with an astonishing quality. What’s to say in a nutshell? The D-Lux 7 makes no exceptions in terms of vintage-looking profile and it features a 17MP four-thirds sensor and a 24-75mm equivalent f/1.7-2.7 lens which ensures better shooting in low light. The new camera also comes with a 2.8MP electronic viewfinder, a 3-in LCD touchscreen and it’s able to perform 4K video recording at up to 30fps. There are many features and functions that explain the high performance of the D-Lux 7, from the touchscreen display, to the Bluetooth connectivity and USB-C charging ability. What are the details we need to highlight? The D-Lux 7 comes with a 17megapixel Four Thirds MOS sensor. It’s able to capture up to 7fps in burst and presents a maximum sensitivity of ISO 25,600. It also comes with a 4K Photo capture mode and a “post focus” mode. This last one is going to sustain focus adjustments in post-production with matching programs. In terms of video, we need to mention that the D-Lux 7 is going to capture 4K 30pfootages at 100mbps in a MP4 format. The optically stabilized lens is using the 25-75mm equivalent F1.7-2.8 Vario-Summilux lens which is similar to the D-Lux Typ 109 released in 2014. This one is also using a series of crop from the Four Thirds-sized sensor. The camera features an aperture ring and the top of the lens comes with a designated physical switch so that you may swap between shooting ratios: 3:2, 16:9, 1:1 and 4:3. You’re going to find on the side of the lens a matching switch for choosing various focusing modes. The fast aperture and the impressive range of focal length explain why the camera is so versatile. You may confidently use it for landscapes, portraits and architecture, street photography and macro close-ups. The 17MP resolution, the maximum ISO sensitivity of 25600 and the four-thirds sensor turn the Leica D-Lux 7 into a great camera for capturing high-quality images in low light conditions, with amazing rendition of details and natural colors. As for the electronic viewfinder, it’s important to mention that it comes with a 2.76M dot equivalent display, whereas the rear screen uses a 3” 1.24 dot LCD touchscreen display. Another feature that you’re definitely going to like is the built-in Bluetooth and the Wi-Fi that work so that you obtain iOS and Android connectivity with Leica’s FOTOS app. Not only that you’re going to be able to share images as you go, but you’re also going to be able to remote control the D-Lux 7 and live view display thanks to the FOTOS app. Leica also comes with a CF D Flash Unit with the camera. The camera is powered by Leica’s 1025 mAh BP-DC15 Li-Io batteries and you may charge it through an outlet, USB battery pack (with the help of the onboard Micro USB port) or through a computer. The ease of use is impressive and you can control the camera at your fingertips. For instance, you may set the focusing point with just a tap on the screen, so you may take pictures without touching any other type of controls. The hardware of the camera has been improved and the new model has plenty of new additions. For instance, you may change the focus point of exposure after shooting or you may try multiple exposures with various focus points to overlap each other and merge them with the help of Focus Stacking (when you’re trying to obtain a greater depth of focus for the macro exposures. The camera is able to video record in 4K resolution at 30fps and 100Mbit in MP4 and AVCHD-format. 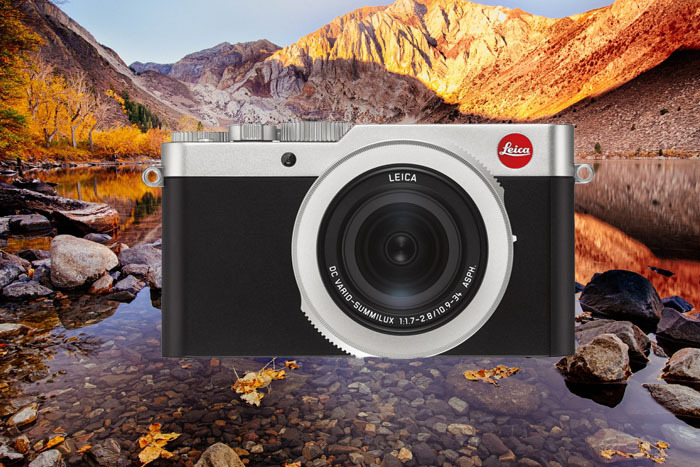 Loaded with so many good features, the new Leica D-Lux 7 is going to stand out with its performances and functions. 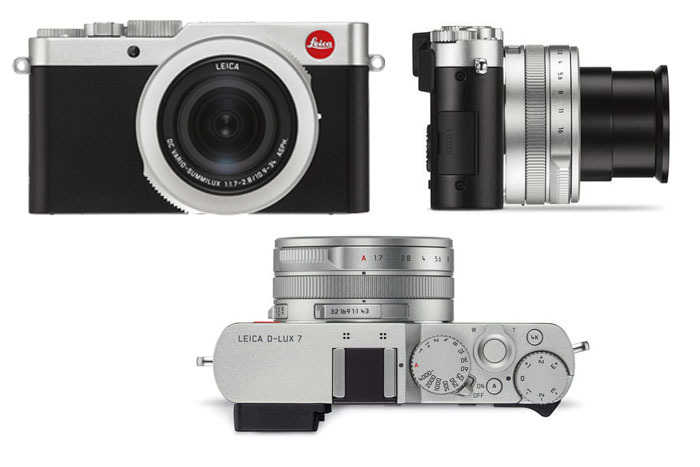 What’s our final take on Leica D-Lux 7? Standing out as the very first D-Lux camera that works with Leica FOTOS App, the Leica D-Lux 7 comes with plenty of stylish and practical features that ensure easy use and impressive performance of shooting and video quality. Even if the price is going to be a deal breaker for some, the true enthusiasts are going to find it as a great investment for their hobby. Leica Q-P Is Out! Let’s Take a Closer Look at the Features!